Sign up for the free e-newsletter from Quince & Co. Your name will be entered into a drawing for a Quince tote with 10 skeins of yarn of your choice! Drawing will be held on Sunday June 19th. Those who are already signed up for the newsletter are already in the drawing! The Quince Sale for Pipeliners has been extended to July 1, 2011! Enjoy 10% off your order of $20 or more! Use the promo code KP62011 at checkout. This week's giveaway sponsor is Green Mountain Spinnery. Leave a comment (with your contact information or link to your blog) below and your name will go into a drawing for a skein of Simply Fine in your choice of color! (The color I reviewed is the gray on the far right in photo. yum) The drawing will be held at noon on Thursday June 23 CDT. Welcome to New Pipeliners: Sarahapple, Jo, Tink, zknits, Jennie, duBedaare, Lizzy B, Erica, Lisa, Terri, Kimberly, and Scarhandpiper! Thanks for the iTunes reviews: mtk3, angelluna20, DCknitter, silverpennies, PostLeslie, and twinsetjan! Thanks for your feedback on the Kate's Shawl episode. I think I see I lot of ruffles in the future of Pipeliners. I read a funny note from Kathleen Kibblehouse. She cracks me up. There are four winners this week! When you contact me let me know which pattern you prefer or whether it makes no difference. We have 3 copies of Esther Budd's HRH Kate's Shawl and one copy of another pattern from me. I thought another designer had agreed to donate a pattern but I was mistaken. I have taken care of this by purchasing the pattern for the winner. Thank you, Esther! If I don't hear from you within a week I will contact you with the good news! I bought the iBird app for the Midwest U.S.A. I found it useful in the field in trying to identify a bird. I tell a story about my husband defending himself with a tennis racket in the face of a wild blue jay. LaLa's Simple Shawl: I added a ruffle in garter stitch, a suggestion from my husband. He's quite pleased with himself and I think it's cute. I used all but about 8 yds of the 2 skeins of Plymouth Happy Feet. I finished my first And So Are You by Rose Beck from the Be Mine Collection. Again, foiled by a pleated border! I told you these ruffles and pleats are yarn hogs and I wasn't kidding! I thought I had about 200-250 yds for the border and yet I had to leave out the last increase and a few rows. The pattern did not specify what kind of bind off to use but it did say to "bind off in pattern". You can bind off in pattern using the Russian Bind Off, my current favorite. See video tutorial. I love the color of this shawl and the pleated border. I started on Triangular Summer Shawl from Estonian Lace by Nancy Bush. Laceweight yarn by Knit Picks. This bit represents an estimated 15 hours of knitting. Romi aka Rosemary Hill is starting a new series of shawls. Seven Small Shawls Year Two: The Muses. $20. If you purchased the first book you should have received a coupon code so you can purchase the new collection for $16. Use it by June 30th. The patterns will be released as Romi completes them. When packing my knitting for vacation I went into Squirrel Mode, stashing balls of yarn in nooks and crannies of my bags. What was I thinking? I didn't even have time to start on the Kilkenny Cowl by Pam Allen. I have Chickadee in the Clay colorway set aside for this project. Thank you to Green Mountain Spinnery for sending these products for review. Simply Fine is as close to handspun as you can find in a machine spun wool. 60% merino and 40% kid mohair. It has a clean sheep smell and feels delicious. I LOVE IT! Highly recommended. 450 yds per 100 gr skein. One skein will be enough for a small shawl or a pair of socks. The book contains a history of the working coop, a day in the life of Green Mountain Spinnery, 36 original patterns by various designers, some techniques, and a nifty thumbnail photo index of the patterns. Charts are large and easy to read. Nice large font. Good layout and photos. About half the patterns are sweaters/vests and the rest include socks, shawls/scarves, baby and children items, hats, mittens, and even an entrelac afghan. The working coop is environmentally conscious and an all-round good business to support. They use local sheep and other fiber sources when available. Recommended. The band competed in the Milwaukee Highland Games. I'm the shortest piper in the band, behind the tenor drummer twirling the sticks when we are standing in the circle. On June 18th we compete in the Chicago Highland Games in Itasca IL. My band mates, Rob and Deb, have friends from The Dutch Pipes and Drums visiting them this week. I invited them all over for dinner. Willie is the Pipe Major for The Dutch Pipes and Drums and Jose (pronounced Josay or Yosay) is a piper also. Then Rob told me that Willie has been knighted, hence the title of the podcast. I didn't know that when I invited them but it didn't make any difference. I was going to use my crock pot anyway. It was a perfect evening but I forgot to take photos! You can read about Willie receiving his knighthood title here on the May 2, 2011 entry. He was bestowed the decoration of "Knight of the Order of Oranje Nassau". Am I impressed? Yes! There are photos of Willie and Jose at our band rehearsal on my personal blog A Piper Knits. Here's one photo of the 3 of us before we started playing. In honor of Willie and Jose I have included a selection from The Dutch Pipes and Drums after the theme music. This is Track 1 which is Meeting of The Waters and The Badge of Scotland. Purchase the CD In Concert here. Thank you to Willie and The Dutch Pipes and Drums for permission to share their music on the podcast! What a great episode. Thanks for the video of your band. It was a delight to watch! The Simply Fine yarn looks lovely. I am a handspinner, but I am so slow that I still need to buy yarn for knitting! I think that yarn would make a nice snuggly shawl, maybe with two skeins. WOW! Your shawls are gorgeous! This yarn looks so nice and I would love to win some of it. Thank you, Paula for another wonderful episode. I truly enjoy your program, especially your reviews on yarns and books. You cover all the important topics one needs to make a decsion on a book or yarn. I enjoyed your re-visit to the blue jays. Since your last episode, I noticed there are not any in my area anymore. With your explanation of the West Nile virus, I had no idea of the impact on the jays. It is a shame. Thank you, again for such a thoughtful and intersting program. Colleen aka Mickitaz on Ravelry. It's so funny that you chose to feature the On Your Toes Sweater as I have been struck by its interesting design as well. I'd like to knit it in my handspun yarn! Thanks for another wonderful podcast - I always look forward to listening after a long work week! You've become my favorite podcast! It doesn't hurt that your tastes are pretty similar to mine, either. I enjoyed your latest podcast. Did not notice a "scarey voice" last podcast at all, and I listen to your podcast several times--once at 3 or 4 AM when I can't sleep, once again during the day with DD, and again later whenever I have a chance. Kathleen's comment made me LOL! Love the quote from EB Browning. Are you using the bird app on your iPod??? Thanks for all your work on the podcast! I loved hearing you talk about being in Squirrel Mode while packing for your trip. I do the same thing -- even when the trip is just an hour or two! When we picked our son up from college last month I had two tote bags filled with projects...and it's only a two hour drive! That was a funny story about your husband playing tennis with a blue jay!! I agree--the Simply Fine yarn looks a lot like handspun. It's beautiful! BTW, How does someone get knighted? I was delighted to hear a positive review of Green Mountain yarns. Have been intrigued by their history, but have been scared to just order fiber untouched and unseen. There is a simple worsted weight shawl, November Ruffle Wrap (yes, ruffled!) in my future, and it begs for a soft, natural color. Thanks again for your great episode. I loved the nature notes and the poem and will forward it to my friends, who will highly appreciate it! Another delightful episode Paula. I too am becoming obsessed with the ruffled shawls and am trying to decide which on to knit! I've always been put off by hairy mohair, too, but I actually got to pet (and smell) Paula's shawl. It really is lovely. And the colorway is perfect, too. I got quite the chuckle when you said that you were going to pull out all the stops and break out the Crock Pot! I hope they enjoyed your all-American meal. It sounded pretty good to me! 1st time listener! Very enjoyable podcast. Have ordered, based on your glowing review of Quince yarn, skeins of Puffin (in egret) to do a rather lovely blanket (pattern downloaded from their website). I'm like you, no worse, I pack more yarn and books than clothing when I go on vacation to Maine and New Hampshire. Makes my husband crazy. Makes me feel so much better to realize that someone else packs just like me. Too funny! I spin, but I don't spin fast enough, so I can always use a ball of that gorgeous yarn. How great of them to contribute the yarn. I have purchased from them before and their yarn is wonderful. I love your podcast. I am behind on listening but not on ready your shownotes. I am really liking all the reviews of the small shawls, as my guild is sending some kits to a group of female "Combat Knitters" in afganastan. I needed ideas. Paula, your "And So You Are" shawl is just beautiful. Thanks for another great podcast, I always learn something from you. Please include me in the drawing for the Green Mountain skein. I have always enjoyed their yarn. Paula, I always look forward to listening to your weekly chats. It must have been quite fun to have dinner with a knight! I hope he enjoyed your all-American dinner. It sounded delicious! I just came across Corinna Ferguson's sideways shawlettes and the Green Mountain yarn would be lovely to make one of them with! I just had that book out from the library. I liked it very much. I can't wait to have a few minutes to look at your Russian Bind off tutorial. I must say that I really appreciate all the effort you put into your podcast and show notes. You are always so interesting and full of great information. You have introduced me to many yarns and patterns I had never seen before. Thanks for the inspiration. Your podcast is so very generous. You share such a rich life with us and still, it's not about you. You make your podcast about sharing with others and it's very happy. Thank you. I'm Stacks on Ravelry because my email address is StacksofBooks. Maybe it shoudl be PilesofKnitting. Still can't figure out how to post other than Anonymous. Will get my son to help with this. Yet another fabulous podcast, thank you for generously sharing part of your life with us Paula. I very much enjoy listening but my hands are usually full of pruners or weeds. Or knitting. And then I don't remember to drop by and comment. Then when you announce the prize winners, I am kicking myself. So maybe I can win some yarn this week. Another great show Paula, thanks! I've never won anything in my life! I'm so excited and thank you! I enjoy the piping music so much. Thanks for all your great links, not only to yarn and patterns but musical selections as well! I would love to try this new yarn. Great episode, Paula! I really look forward to each one...even though it adds tons of patterns to my Ravelry queue and lots of yarns to my wish list...definitely will have to try this one from Green Mountain Spinnery. I have both books and love them! Also adored the piping at the end!!! Thanks fOr the bindoff tutorial. And I hope tohave a chance to try Simply FIne! Another enjoyable episode--I listened on my drive to work this Monday morning and as usual, you soothed me! I like the idea (and the picture) of adding the ruffle to the LaLa shawl. I may just try that, as I adore ruffles. Still trying to decide which shawl to make for the Kate's Shawl group that you alerted us to. Would love to try the Simply Fine! Listening to you has always been inspiring. I have the Green Mountain Spinnery book but have not made anything from it yet. Your review totally got me thinking about my next project. I am definitely going to take a look through the book again! I am a fan from New Hampshire. Your podcast is always full of so much great information and stories! LaLa's shawl has been in my faves on Ravelry for a long time. The ruffle is adorable and I would certainly add that to my project. Another great podcast. I love all the shawls and the review of the wool. Off (virtually) to check out Green Mountain Spinnery next. Spinnery yarn sounds and looks fabulous and the cover of the book is gorgeous. I have to tell you that the first time you used the phrase "I fear boredom more than death" I chuckled and thought of how true that statement is for me---in more ways than one. I used it at one of my recent Weight Watcher's meetings in regard to exercising---which is something WW encourages us to do. All of a sudden I realized why I've always had an aversion to exercise---I find it boring and that lead to me to "mix it up" so-to-speak with my exercise---doing something different everyday rather than just the treadmill day after day---it has changed things for me in that regard. My WW leader liked the expression so much that she's using it at her other meetings! And yes, guilty, I take numerous projects along with my when away from home......triple that number because I'm also a crocheter and a spinner. What's a fiber artist to do? Another great podcast Paula---I'm loving it! I'm also very excited by the Russian bind-off video: I learned something new and will definitively use it. I didn't know about the Green Mountain Spinery. 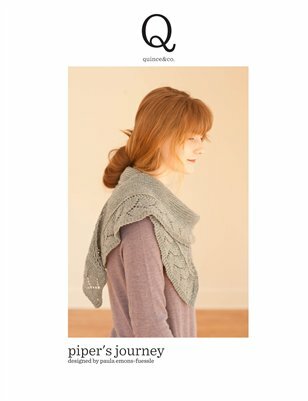 I just checked out their website and their yarn seems gorgeous (I'll definitively keep it in mind for my next yarn purchase...). I love green these days and they've got so many gorgeous shades of green that it would be hard to pick a favorite. Lovely! Another enjoyable podcast, Paula! And I loved the story about your husband and the Blue Jay. I went to Green Mt. 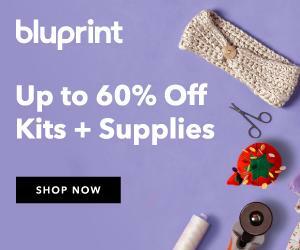 Spinnery's website, and their yarn is so beautiful. Their colors are great. It would be nice to knit one of those small shawls with it. Enjoyable podcast, as always! I wanted to say that I used your felted join technique several times and it works really well. It's the first time I've ever actually tried the felted join and I don't know what took me so long! Thanks so much for the tip. You might be interested in listening to an interview with Margaret from Green Mountain Spinnery on the June 4 (#222) episode of the Ready, Set, Knit podcast from Webs. Between that & your review of the yarn you were sent I may have to get me some - though winning some would be the best! Great episode! I am a shawl knitter too. I am so glad I found your podcast. I've enjoyed every minute. Thanks for the opportunity to win such pretty yarn. I have been listening to your podcast for a while now and always enjoy the mix of topics, as well as hearing about your music. I am currently recovering from shoulder surgery and your book/yarn review this week really made me jealous! Can't wait to get knitting again! The La-la simple shawl is lovely. Your husband is a smart man. This was one of my favorite knits of mine. Maybe I need to make another with a pretty ruffle. Thank so much for another great podcast. I really appreciate all the information on the nature of ruffles and how much yarn they take. It pays to be prepared in advance. I would like to make And So Are You and I am glad to have the benefit of your experience regarding how much yarn the ruffle takes. Another great podcast. Your vacation sounded delightfully restful. Your review of the Green Mt. yarn was great. I would love to try some. Ok, never mind. I am going to go over to the website right now and check them out. Once again, thanks for a great podcast Paula. I always learn so much by listening. Thanks for doing this!! I enjoyed hearing about Door County. We vacationed there when we lived in Iowa. Hopefully, we will get back there again. green mountain spinnery yarn - one of my favorites!!!! So much to write about after listening to your two most recent episodes. Your shows always give so much valuable information - thank you! 1. I, too, ended up purchasing the iBird app for my iPad. My son and I enjoyed listening to the songs of a variety of birds that live in our area - Rose Breasted Grosbreak, Goldfinch, Tufted Titmouse, House Finch, Nuthatch, Chickadee, Junco...what a great app! I look forward to using it when we go to the Maine coast this summer. 2. I laughed out loud when you told of packing for your trip to Door County. I ALWAYS pack WAY too much yarn for any trip I take, be it an overnight getaway or a month-long sojourn. Oh, the horror of running out of yarn/projects!!! 3. Green Mountain Spinnery - I have the book 99 Yarns and Counting and have made the Juliet Shell, using GMS's "Sylvan Spirit". As you said in your review, the book is thoughtfully laid out and contains many beautiful patterns. Right now I'm most excited - a dear knitting friend and I are going on the First Annual I-91 Shop Hop, which begins tomorrow. The Shop Hop is being sponsored by 12 yarn shops along the I-91 corridor between New Haven, CT and Putney, VT - the home of Green Mountain Spinnery! We'll be sure to say "Hi from Paula!" to the good folks there. 4. Your show in general: I began listening to your podcast last July when we were vacationing in Maine (we go there every summer for about a month), and have not missed an episode. (You are the reason I'm so into knitting shawls and shawlettes!) I look forward to celebrating your 1st podcast anniversary next month! Congratulations and thank you, Paula. Hello there! I'm a new listener and am really enjoying your podcast. I enjoyed the video of your band playing. We went to the Highland Games in Kansas City and had a blast. I've also never been a fan of mohair, but I'd really like to check out this yarn by Green Mountain Spinnery after hearing you talk about it. I visited the Green Mountain site and love, love love their yarn. My favorite was the holiday yarn, its bright colors were reminiscent of holiday fun. Teresa Fussell,aka neilsnana on ravelry. Thank you for the opportunity to win this fabulous yarn. Green Mountain Spinnery has beautiful, beautiful wool. I love listening to your podcast. I enjoyed listening about you packing too much stuff. I always pack too much stuff. I always think I can knit faster than I can. I am not a new listener, but am new at posting. I am hoping to head up to the Green Mountain Spinnery this weekend. I love the fact that they are a co-op. Your description of the yarn made me want to buy some: perhaps I will or maybe I will win it! Another fun podcast, and another great giveaway. Please enter me in the drawing. Your husband is an expert on shawls now, what with the doling out of advice about adding a ruffle to your Lala shawl. Better take care there or he may turn into the next Stephen West. Looking forward to next weeks episode. I would love a skein of Simply Fine. I am luvtoyo on Ravelry. Your vacation sounded wonderful! Thanks for the chance to win some great yarn. It is so good to hear that you had a restful vacation. You are absolutely right about taking time to enjoy and observe nature. It is refreshment to the soul. I normally listen to your podcast during my morning driving commute. Last night I listened from my laptop while knitting. My dog was not sure what to make of the piping at the end of the episode. She was on the floor next to me half asleep and then came the music. She perked up and looked around nervously. I'm wondering if she thought some strange animal was in the house. The Green Mountain Spinnery Simply Fine sounds delightful. What a beautiful quote from EBB. I've shared it with friends. Also you have inspired me to find my bagpipe practice chanter and start re-learning how to play. Thanks! Always love listening to the podcast! Thought of you this past weekend while at commencement (I work at a college). The Sandwich, MA Colum Cille Piipes & Drums band played during the procession of the platform party and graduates! Thanks for the contest, would really enjoy the opportunity to try out a skein of Simply Fine! I just became aware of this today, and I am very upset because I never agreed to offer a free pattern for this blog's draw. The author had mentioned to me in April or early May that she might like to interview me about the Kate Shopping Shawl sometime in June, but we never agreed to anything at all. I am very sorry that this has happened, but it was completely against my wishes or knowledge. Your message is very upsetting to me. This was clearly a mistake and certainly not intentional. Apparently I misunderstood or confused you with someone else. The topic of the podcast was Kate's Shawl and there were many patterns mentioned. I will purchase another pattern for the winner. What would a person have to gain by purposefully offering a pattern if they did not feel it was a valid prize? I have a lot of faults but dishonesty is not one of them. I'm appalled that you are now censoring my responses, giving you the opportunity to make assertions that aren't accurate, without my being able to respond. You should not have deleted my last post, particularly since you're now asserting that using my pattern in your draw against my will is an issue of "freedom of speech." Paula, I love your podcast and anxiously wait for each one. I am amazed at how fast you accomplish your projects! The yarn looks lovely. Enjoyed your podcast as always. Yours is my favorite and I like to take you walking with me or like this afternoon, keep my company while I exercise. The Triangular Summer Shawl will be a beautiful gift when finished. Checked it out on Ravelry. thanks again -- love our stuff. I'm working my way back to the first podcast. Had to laugh when you talked about packing yarn. I took way too much yarn when we went to the Boundary Waters, did not get much knitting done. I did do a lot of reading though. And as you commented, sometimes it is nice to just sit and enjoy nature - one of my favorite things to do. I am looking out my window at a hummingbird - a rare sight here. I loved your husband's ruffle suggestion. My husband would look smug, too, if I followed one of his knitting suggestions! Also I like your shawls, but I've never done a non-lace shawl. They always seem bulky to me. Do you have a shawl preference? open lace? closed? Please enter me in the drawing. Again, I so much enjoy listening to all of the podcast. Thank you for your efforts. GENIUS! I too am knitting LaLa's shawl, one of my first ever lace projects. And I don't want any yarn leftover. Voila! I can stop knitting until I run out, and put a ruffle in! If I understand you right, you make 1, then knit into it front and back? I'll experiment. I'll post on Ravelry when it's done. I just love the way the ruffle looks. Oh, and enter me, too! What fun, and I learn so much from you!